Sometimes a high school student finds that obtaining their diploma in a traditional brick and mortar setting will not fit their personalized needs, or that they struggle to succeed in such a setting. In other cases, students fall behind in the classroom and need a way to supplement their learning, or students are not having their advanced academic needs met in a traditional setting and they wish to get ahead. These are just a few of the many ways that an online high school can aid and support the various needs of high school students today. 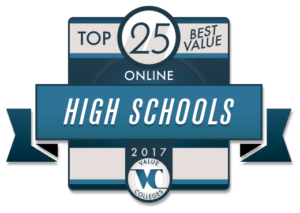 Using a Best Value Methodology, we at Value Colleges have ranked what we would call the Top 25 Best Online High Schools in our nation today. Our methodology takes into account the online schools’ tuition costs, the institutions’ graduation rates of success, plus rates their exemplary successes as educational institutions. Additionally all of the schools listed below are accredited institutions and many of them offer a variety of diploma tracts or online coursework options from world languages or Advanced Placement (AP) classes. Additionally some schools offer classes for adult learners as well as traditional high school aged students. 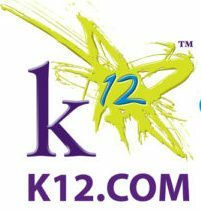 K12 Online School is a leading provider of online curriculum nationwide and offers varying programs for students K-12. Programs can be attended fully online through online public or private schools, plus blended programs. Additionally, students, parents or teachers can directly purchase courses for home or classroom use. Different enrollment options are available by state and by visiting the SchoolFinder page students can see what options are available. A variety of courses are available for all students at K12 Online. There are nearly 200 high school courses offered including core classes in English, math, history, or science plus a plethora of elective courses. All classes are additionally offered at a variety of levels including core, comprehensive, honors, advanced, remediation, and credit recovery. 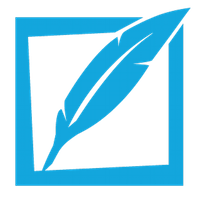 In this way students can customize their coursework to meet their individual needs. Costs vary at K12 Online depending on which program students enroll in, however public school options are tuition-free in most states nationwide. (FLVS) is proud to offer one of the most flexible, fully or part-time virtual learning programs for high school students nationwide. The online school is absolutely committed to personalized learning and achieves this goal by hiring dedicated, certified teachers, by engaging students in interactive content, and by offering one-on-one instruction with a major focus on each student’s success. Additionally, the school offers ease of learning through 24/7 access worldwide and a plethora of full-time options that all support flexibility in course scheduling and pacing. 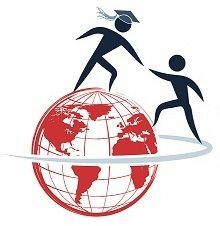 Though Florida Virtual School proudly serves Florida residents, the online institution reaches across the nation and globe, serving private, public and homeschool students worldwide. 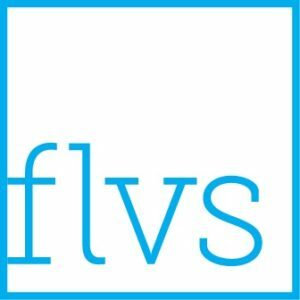 Offering over 150 courses, there are options to suit each students personal needs at FLVS. Many courses include core classes such as Mathematics, English, Science or History, as well as Advanced Placement (AP) options and credit recovery programs. Tuition: Free to Florida students. For students outside of Florida, $400 per half credit. 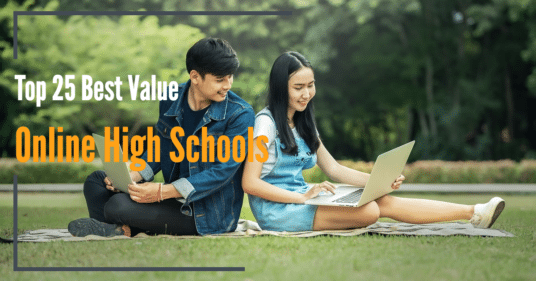 The National High School offers a comprehensive set of high school programs and courses fully online that are meant to serve the needs of students from various walks of life and backgrounds. The courses give students a strong foundation to pursue their diploma or other education needs and the National High School Diploma program can be completed fully online or accepts transfer credits from traditional brick and mortar high schools from around the nation. The National High School is also proud to be a leader in serving home schooled students across America. The National High School, based out of Georgia, is accredited by the Southern Association of Colleges and Schools, Council on Accreditation and School Improvement (SACS CASI). The school is a consistent leader in online, high school education across the nation. 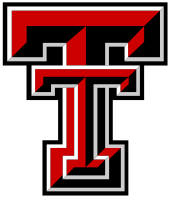 Texas Tech University Independent School District, founded in 1993, offers a variety of programs to students seeking an educational experience online and serves grades K-12. Students can enroll in a full-time diploma program or an individual or supplemental online program. The diploma program requires students to take state-required courses for graduation in order to obtain a degree while the individual program allows students tot either catch up with coursework they are behind on or get ahead by enrolling in courses they would need later or Advanced Placement (AP) classes. In the individual program students remain enrolled in their traditional or current school district and courses taken online are transferred. All courses necessary to obtain a Texas high school diploma are offered in the Texas Tech graduation plan and in addition to completing their coursework, diploma seeking students are required to pass the appropriate state-required graduate assessment texts such as the TAKS or STAAR/EOCs. The school is accredited by the Texas Education Agency (TEA) and this accreditation ensures that the schools curriculum meets the standards required by the state. 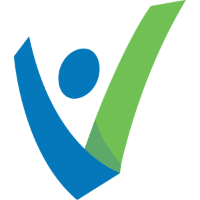 Virtual Learning Academy Charter School located in Exeter, New Hampshire provides quality education to both part-time and full-time students. Typically the Academy serves part-time students who are enrolled in another school or at home school. Their full-time students participate in an admission process and once accepted, pursue the VLACS diploma, which is approved by the New Hampshire Department of Education statewide. In addition to classroom learning the school boasts opportunities for internships, travel, and interactive or hands-on class projects, plus, registration is on-going so students can begin taking courses at any time. All teachers are fully certified by the state of New Hampshire however students from any state or country are welcome to enroll in one of the online middle or high school programs. As a major bonus, all New Hampshire residents can enroll in course for free! Excel High School has proudly been offering flexible learning for high school students across the nation since it’s founding in 2004. The courses are set up to allow students to learn at their own pace, emphasizing each students individual talents and strengths while supplementing their weaker points in order to ensure academic success. All coursework can be completed fully online and can be accessed from anywhere around the world. Excel High School is additionally one of the original members of the United States Distance Learning Association and the school is accredited by the International Association for K-12 Online Learning. Offering a variety of courses and learning options, Excel High School has coursework for credit recovery, online summer school classes, and a complete college prep diploma curriculum, which is accepted by most institutions nationwide. In addition to the programs that serve traditional aged high school students, Excel High School also has an exemplary adult learning program for students seeking their GED. Penn Foster Highschool Online boasts affordable education opportunities offered fully online for students from all walks of life. With a rich history as a leader in career preparation and triaging for in-demand fields, Penn Foster high school online not only meets the high school academic needs of its students but also helps to prepare students for adulthood and aids in leading students to finding their passions. The online school offers both fully online and blended programs and each program is personalized for the student enrolled and self-paced. Penn Foster is additionally a leader in providing staff and teacher support to enrolled students, making sure that enrollees can make the most of their online learning experience through one-on-one attention and support. North Dakota Center for Distance Education (NDCDE) based out of Fargo, ND uses technology to transform high school students, not just teach them. Utilizing cutting edge teaching methods and state-of-the-art educational technologies, the Center is a leader in online learning statewide. The mission of the North Dakota Center promotes the view that every student is unique. In this vein, all online courses are designed to allow students to embrace learning on their own terms and lessons are not constantly subject to a teachers filter but can rather be self-led and experienced. The NDCDE offers courses and diploma programs to middle and high school students across North Dakota by supplying quality curriculum, qualified online teachers, and advanced educational technology. Students enrolled benefit from the flexibility of completing courses at home while still receiving the same quality education they would receive face to face in a classroom setting at a traditional high school and benefit from a customizable high school education. Brigham Young University Online High School is a fully accredited online high school with three different four-year high school programs each suited to fit the needs of a diverse student body. Students can obtain their diploma by attending all classes online or by supplementing they’re in school education with a couple of additional online classes, such as college placement or AP classes. The three programs include: the Standard Program for students of high school age obtaining a diploma; the Advance Program for students of high school age hoping to get a jump start on college through additional courses online; the Adult Diploma Program for adults returning to high school. Applicants should note that Brigham Young University Online High School suggests that students be at least fourteen years of age before attending their courses online. The courses are designed for high-school aged students who are preparing to move into a college or university setting, or who are preparing for the job market after high school. Serving the academic needs for traditional high school students and adult learners seeking additional education or a diploma, Indiana University High School‘s distance education programs are available to students from around the globe. Enrolled students choose from taking individual courses fully online or earning an Indiana high school diploma. The school aims to serve students that are not having their needs met traditionally in the classroom and extends these services to educators who have the need to expand their classroom learning environments. Students from various walks of life and a plethora of backgrounds benefit from the flexible, supportive online environment supported by Indiana University High School and find they can reach their educational goals fully online with ease. Indiana University High School believes in flexibility and therefore students choose when to register and where they will complete their study. Lessons and exams are approached on the students time and most coursework affords the student a strong level of control over their learning with readily available teacher guidance, ensuring success for all students. James Madison Online High School has been helping thousands of students achieve their educational goals for years, since 1987 when their parent school, Ashworth College, was founded. James Madison was established in 1996 and is a leader in offering comprehensive and quality high school educations for students from all walks of life nationwide. The school boasts all certified teachers and is both regionally and nationally accredited including accreditations by the Southern Association of Colleges and Schools Council on Accreditation and by the Accrediting Commission of the Distance Education Accrediting Commission (DEAC). James Madison Online High School reaches out to traditional high school students seeking diplomas or other alternative avenues for learning in addition to adult learners and homeschool students. By removing the barriers often experienced at traditional high schools such as competition with classmates or peer pressure, students are able to focus solely on their educational goals. Additionally there are no set assignment deadlines or pop tests allowing students to succeed at their own desired pace. Based out of Jackson, Mississippi, the New Learning Resource Online offers two different tracts for obtaining a diploma through the school: the College Prep Pathway Diploma, which requires students to complete 24 Carnegie units and the Career Preparatory Diploma path, which requires enrollees to complete 21 Carnegie units. The school is accredited by the Southern Association of Colleges and Schools, Council on Accreditation and School Improvement (SACS CASI) and the Accrediting Commission of the Distance Education and Training Council (DETC). All courses offered by the academy offer flexible learning options for students enrolled paired with certified teacher support and online resources to aid in all students’ success. 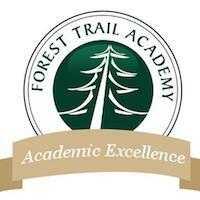 Forest Trail Academy, based out of Wellington, Florida, is one of the top virtual K-12 schools in the United States and has a consistent reputation for delivering excellence. The institution is committed to offering coursework and diploma programs to students across the Americas and worldwide and primarily serves the needs of homeschool students around the globe. Additionally the school is accredited by the Southern Association of Colleges and Schools, Council on Accreditation and School Improvement (SACS CASI) and Middle States Association of Colleges and Schools as well (MSA-CESS). The online courses for high school aged students, in addition to the diploma program, offers classes for Advanced Placement (AP), credit recovery programs, and special benefits for homeschoolers who are seeking classroom experience remotely. Additionally, the school offers U. S. high school diplomas to international students enrolled in the programs from around the world, wishing to obtain college credits simultaneously. FTA’s unique partnership with Waldorf University is a dual enrollment program with opportunity to obtain college credit for only $243.00 per class (not per credit)! Students who are seeking flexibility, an alternative to the traditional brick and mortar high school setting, who are looking to catch up or get ahead, are all welcome at Forest Trail Academy. All teachers are certified professionals who have a passion for distance education. 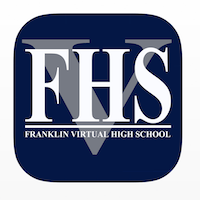 Based out of Tallahassee, Florida, Franklin Virtual High School offers a safe and cost effective way for students to reach their educational goals in a flexible manner fully online. Programs are all 100% fully online and are even customizable to meet each individual student’s needs. As a regional leader in online learning, additionally the courses are all regionally accredited by the Southern Association of Colleges and Schools (SACS) and offers open enrollment, no contracts, and flexible payment options! The school serves students across North America and worldwide and students may complete a diploma program or enroll in courses needed to supplement their traditional brick and mortar or home school education. All coursework is self paced and is easily transferable and students have the flexibility to learn, advance, and succeed in their education at their own pace. North Carolina Virtual Public School, commonly called CVPS, is a supplement to the state-wide North Carolina Public School system. The virtual school offers teacher-led expanded academic options for students enrolled in their online programs. All courses are aligned to the Common Core Standards and the North Carolina Essential Standards whether students are North Carolina residents or enrolling from a distance location. Online courses are available in a variety of subjects including science, language arts, math, social studies, and the arts plus advanced placement (AP) and honors courses. Other courses include test preparation classes and credit recovery, world languages or Occupational Course of Study (OCS). All CVPS teachers are certified and use the latest and best technologies available to teach students from a distance, and completion of coursework is done in a flexible manner and student led. To enroll in CVPS students will contact the administration at their local public school, after enrolling online and completing courses, grades are reported to the students local public school, which in turn awards the student credit. The Keystone National School is a fully accredited online high school offering flexible education options for elementary aged students through high school. The school offers more than 170 different online classes varying from world languages to AP classes to credit recovery courses. Flexibility of learning is at the core of The Keystone School educational mission and the school has been repeatedly recognized as a leader in flexible education, plus students can enroll in The Keystone School at any time throughout the year. With a focus on disciplined learning, the school strives to prepare students for life after high school whether that be in attending college, pursuing a career, in the military, or a trade school. The school offers credit recovery options in addition to core high school coursework as well as solutions for educators seeking alternatives to the traditional classroom learning environment. International Virtual Learning Academy, or commonly called IVLA, serves students in the United States and internationally in grades K-12 year-round and is a private, fully online educational institution. No matter the home location of enrollees, all diploma-seeking students are awarded a California State High School Diploma. The academy is proud to annually meet or exceed national standards for learning and additionally school is fully accredited by the AdvancEd institution. The International Virtual Learning Academy offers a variety over 400 different courses and has been dubbed “the most innovative, engaging, and effective online curriculum available.” The school serves a variety of needs by serving students needing remediation, English language learning, Advanced Placement (AP) courses, middle school to high school transition, school-at-home needs, and much more. Originally founded as an alternative school for students who were not having their needs met by the traditional high school, classroom setting, Greenways Academy has been a leader in distance learning since it’s founding in 1996. Originally the school served students with medical conditions, psychological issues, learning disabilities, and even specific scheduling needs that prevented them from excelling in the traditional high school classroom environment. Today the online school serves students grades 5-12 and offers a variety of programs including coursework in fine arts, career planning, computer science, foreign languages, and much more. As a unique bonus, the Greenways Academy provides one-on-one teaching for every single course the Academy offers ensuring the needs of all students are met. 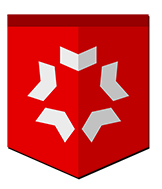 Liberty University Online Academy is based out of Lynchburg, Virginia and is a Christ-centered, Christian institution. According to their own website, the academy boast the title of “the world’s larges evangelical university” and is a leader in offering Christian homeschool learning solutions. All courses are taught from a biblical perspective and the institution prides itself in combing Christian education with core Virginia high school standards of learning. The online academy offers a diploma program and courses for students seeking supplemental learning in addition to their traditional brick and mortar or homeschool educations. Two courses are available for the diploma seeking students: General Education Diploma, which requires 26 credits, or the Advanced Studies Diploma, which requires 30 credits for graduation. All courses are taught in either an eight- or sixteen-week format and students can enroll at any time. Because of its religious affiliations, the online school requires all students to take one Bible credit course per year regardless of their other education needs. Virtual Virginia is part of the Virginia Department of Education and offers a variety of programs including core academic and elective courses, world languages, and online Advanced Placement (AP) classes. Programs are designed to meet the individual needs of enrolled students by offering high-quality educational opportunities and flexibility with learning. The online school was founded in the 1980’s when distance courses were offered via satellite to students across the state of Virginia. Since their opening the school has expanded to offer more courses annually and to reach student across the nation. High school students from various walks of life can attend courses in order to obtain a diploma or meet specific credit or course needs. Additionally the school offers a unique mentor program that places students with mentors who aid students in reaching their educational goals through daily communication and by serving as liaison between teachers, administrators, and students. University of Missouri High School, founded in 1999, offers fully online coursework and a diploma program for distance high school learners. The school is accredited by the North Central Association Commission on Accreditation and School Improvement and utilizes the AdvancED, nationally accepted platform for distance learning. Coursework includes Advance Placement (AP) classes, academic core classes, and a variety of fully online electives. With an interesting history, the University of Missouri High School began as an extension program in 1913 by offering correspondence courses to high school students! This program evolved into what is known today as the fully online high school. All courses are developed by certified educators and University of Missouri faculty and coursework aligns with both national and Missouri core standards. Sevenstar Academy has been offering middle through high school Christian education online since its founding in 2006 and offers today over 300 fully online courses for students in grades 6-12 seeking alternatives to learning in a traditional classroom setting. The school offers a Biblical worldview and seamlessly integrates the bible’s teachings into all courses of study. In this way the academy serves its mission to help pupils grow both spiritually and educationally without indoctrinating the students world-views and perspectives. Offering proven academic results with over 81% of all coursework completed online obtaining a passing grade, the school serves as a southern leader in online Christian education. The Sevenstar Academy is accredited by the Southern Association of Colleges and Schools and utilized the AdvancED system. 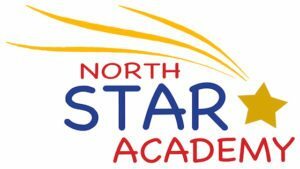 NorthStar Academy is a private, Christian academy that serves students grades 4-12 fully or partially online. Students from across the globe can attend classes or complete their diploma at NorthStar and the school boasts open enrollment so students can begin reaching their academic goals at their convenience. As a Christian institution, the school combines academic and spiritual teachings and all classes are led by credentialed teachers. NorthStar Academy is additionally proud and honored to be the first online Christian academy to receive accreditation. The school is additionally accredited by the Associate of Christian Schools International (ACSI) and the Southern Association of Colleges and Schools (SACS). NorthStar Academy’s curriculums follow U.S. plus Canadian and U.K. models. Laurel Springs School, based out of Ojai, California, is an accredited, private and fully or partially online school that offers K-12 exemplary education and their high school is termed the ‘Upper School’ and serves grades 9-12 nation- and worldwide. The Upper School’s prep programs ensures students are prepared for whatever they face after high school whether it be continuing education in a college setting or entering into the workforce. Laurel Springs School online is additionally accredited by the Western Association of Schools and Colleges (WASC) and the Southern Association of Colleges and Schools Council on Accreditation and School Improvement (SACS CASI). Boasting a curriculum that focuses on the development of critical thinking, reading and writing skills, in addition to core requirements, the Upper School is proud to have a success of graduation rate that leads most online schools in the nation. Even through distance learning students are able to develop relationships with teachers and faculty as well as network with other students online if they choose. Oak Meadow School, founded in 1975, is based out of Brattleboro, Vermont and is a part of the Middle States Association of Colleges and Schools. The institution offers a variety of classes including core classes in English, social studies, science, and mathematics as well as elective courses Chess or ESOL as well as a handful of signature, Oak Meadow classes. All coursework is self-paced with easy access to aid and help from credentialed teachers and professional staff. It should be noted that textbooks and other necessary materials are not included in the online fees listed below and Oak Meadow requires a 40% down payment and flexible monthly payment plans for tuition costs. Oak Meadow School is accredited by four institutions including the North Central Association Commission on Accreditation and School Improvement as well as the Northwest association of Accredited Schools and both the Western and Southern Associations of Colleges and Schools.